Experience Fourth of July revelry the way it’s meant to be with a summer escape to the mountains of Jackson County, North Carolina. Immerse yourself in the patriotic spirit and a slice of true Americana with a July Fourth vacation in the heart of the mountains. 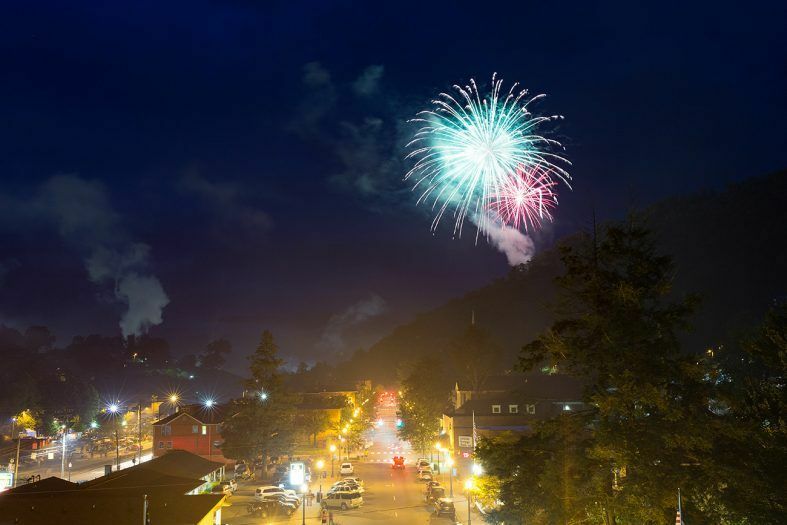 Filled with spectacular fireworks, live music and Southern camaraderie, our idyllic mountain towns of Sylva, Cashiers, Dillsboro and Cherokee are the perfect backdrop for an all-American summer holiday and the makings of a new family tradition. 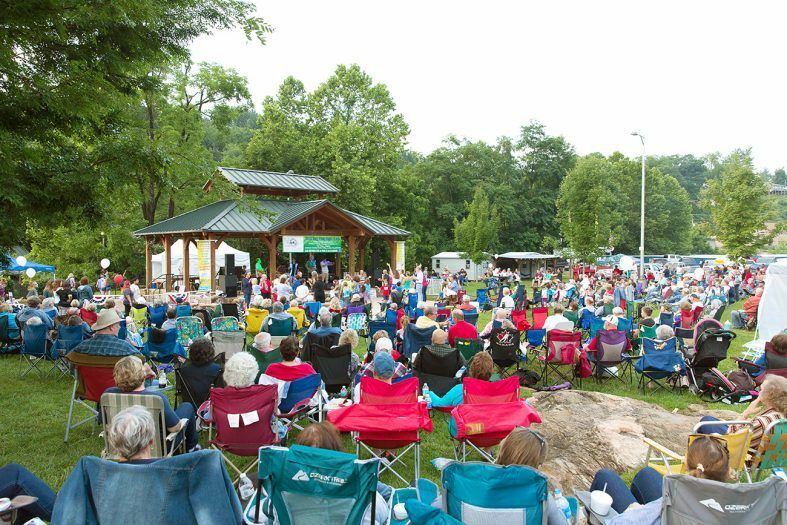 Spread a blanket or dance the night away with live music, festivities and fireworks done right at the Village Green in Cashiers or Bridge Park in downtown Sylva on July Fourth. Make it a double-header by kicking off Independence Day early with fireworks over Lake Glenville on July 2. Sway the night away with live music by The Business, a pleasing soul, funk and R&B band, at Bridge Park in downtown Sylva. 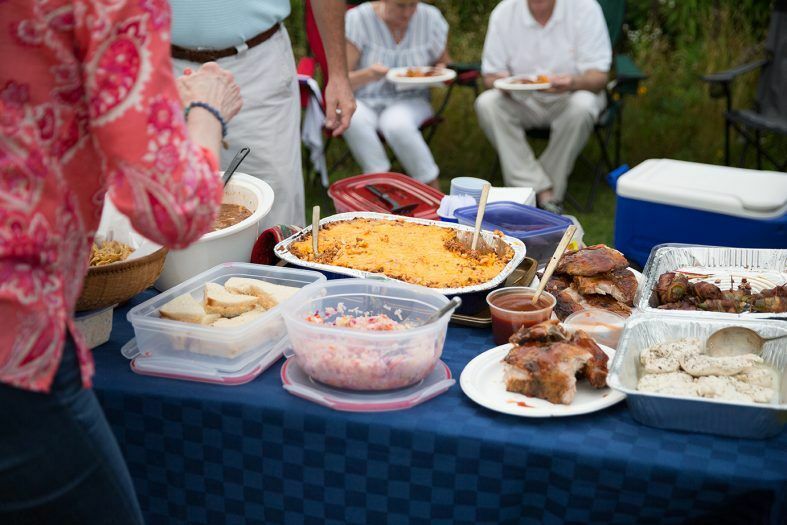 The family-friendly celebration runs from 6:30 to 9:30 p.m. on July Fourth, featuring food and fun for all ages, with the shops, restaurants and night spots of downtown Sylva at your doorstep. Fireworks will boom overhead when the sun goes down. 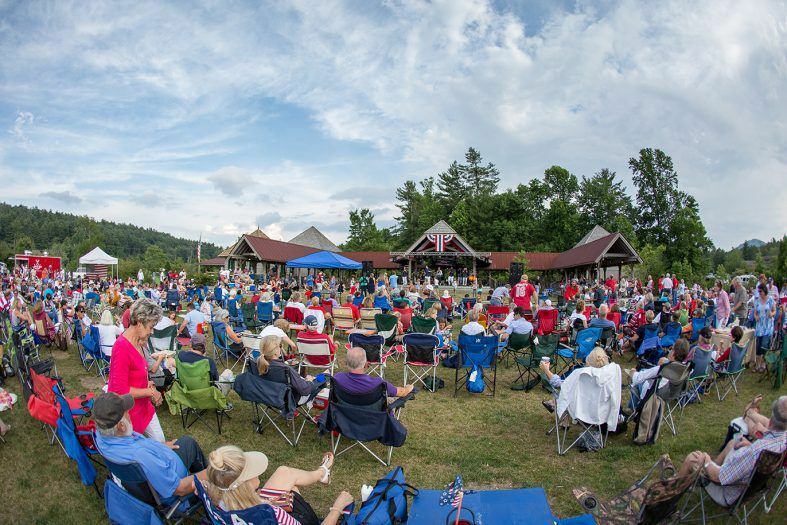 Get your groove on at the Village Green in Cashiers with a festival on the town commons starting at 6:30 p.m. on July Fourth. 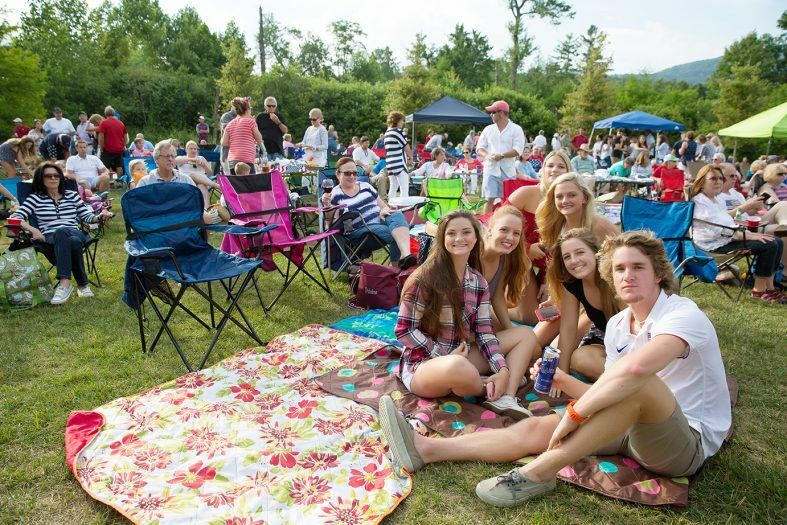 The “Fireworks Extravaganza On the Green” features food, live music from the band Continental Divide and dancing. This location is an ideal viewing spot for a colossal firework display when night falls. 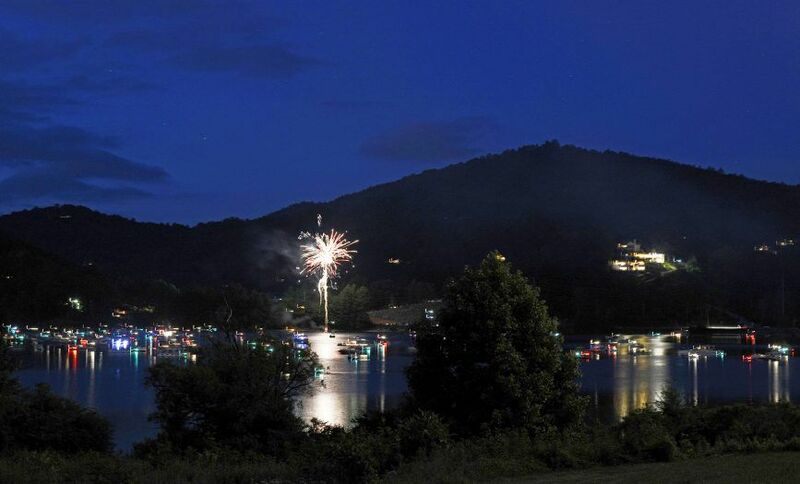 Make July Fourth a double-header with a firework show over Lake Glenville on Sunday, July 2. Stake out a spot along the lake shore or launch a boat onto the water to catch the dazzling display, which is shot off from The Point at Glenville Lake subdivision. Put some mountain flair in your holiday week with Jackson County’s local fare. Swap out that cooler of Bud for a pint from one of Sylva’s three microbreweries. Fill your picnic basket with a hand-selected bottle from The Wine Cellar of Cashiers or Papou’s Wine Shop in Sylva, along with hand-crafted confections from Dillsboro Chocolate Factory or Baxley’s Chocolates in Sylva. Go native by sampling Sylva’s hometown burger joints like B and Al’s or Robbie’s Char-burgers, or get your BBQ game on with our friendly smokehouse rivals that book-end Jackson County — Haywood Smokehouse in Dillsboro and Adair Brothers Smokehouse in Cashiers. You’ll find the perfect lodging to suit your preference in Jackson County whether you’re looking for a mountain cabin with a deck for grilling, a summer bed-and-breakfast, a pampered retreat or a hotel room close to the action. Grab a lawn chair, pack your sparklers, and get ready to Play On. We’ve got your spot waiting!